What is the difference between Kaspersky Lab Products and which one is right for me? We are often asked by our customers which one of our products is better – Kaspersky Internet Security or Kaspersky Total Security. To that we often ask – What are you looking for? To choose the right product for you, you need to understand your goals most importantly: What exactly you want to protect? From there, you will be able to discern which capabilities you need. Kaspersky Total Security and Kaspersky Internet Security have equal level of protection against viruses and threats. The malware signature detection and blocking capabilities are also identical as are the components listed under the “Protection” tab. The difference for Kaspersky Total Security comes via the number of additional capabilities, which are not present in other products from the ‘home’ portfolio. These features, serve as a means of data protection. To get a closer look, let’s dive into some of the inner workings of the product’s key features. Data backup is strongly recommended by security experts for home and corporate users. Hardware is prone to breaking unexpectedly, at the most inconvenient moments – Windows can make you wonder at times. In order to keep your data safe whenever you restore or update your operating system, all information should be backed up so you can restore the data in case of failure. Of course, you can use a separate external hard drive or transfer all photos onto another computer for this purpose. The Backup feature in Kaspersky Total Security automates this manual task, in accordance with a user-defined schedule. In order to get enough of storage, you can use a cloud storage service like Dropbox or Microsoft’s cloud services. In the event of Windows letting you down, your beloved photos and other files will still be available. Kaspersky Total Security can also save them to a virtual safe box. The files you prefer to secure will be encrypted by a method resistant to hacking and will be decrypted only upon entering a password. Perhaps one of the most useful features of Kaspersky Total Security is Password Manager. This feature employs smart algorithms to generate reliable passwords and store login credentials in a database. All passwords are synced to the cloud, so they are available from any device where Password Manager is installed. This software is compatible with iOS, OS X, and Android in addition to Windows. Once a password is added to the database, it is available on any device you use to log in – a tablet, a smartphone, etc. Note: You must have a user profile on My Kaspersky to use Password Manager or remotely manage your devices. 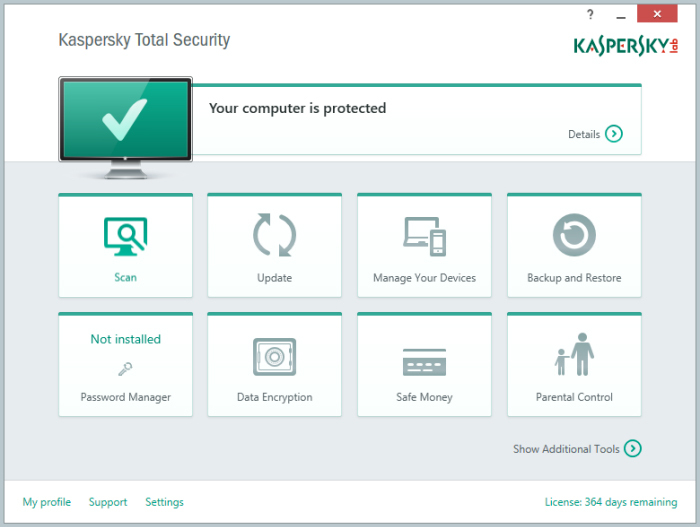 All in all, Kaspersky Total Security is a beefed up version of of Kaspersky Internet Security with a number of useful and user-friendly tools. You can always use whatever tools you are most comfortable for data management and leverage Kaspersky Antivirus to fight malware. Love seeing tweets like this! #greatcustomers #Kaspersky #Security Download Kaspersky Total Securiy today and get protected! At the end of the day, it is up to you to determine what product fits your needs best. 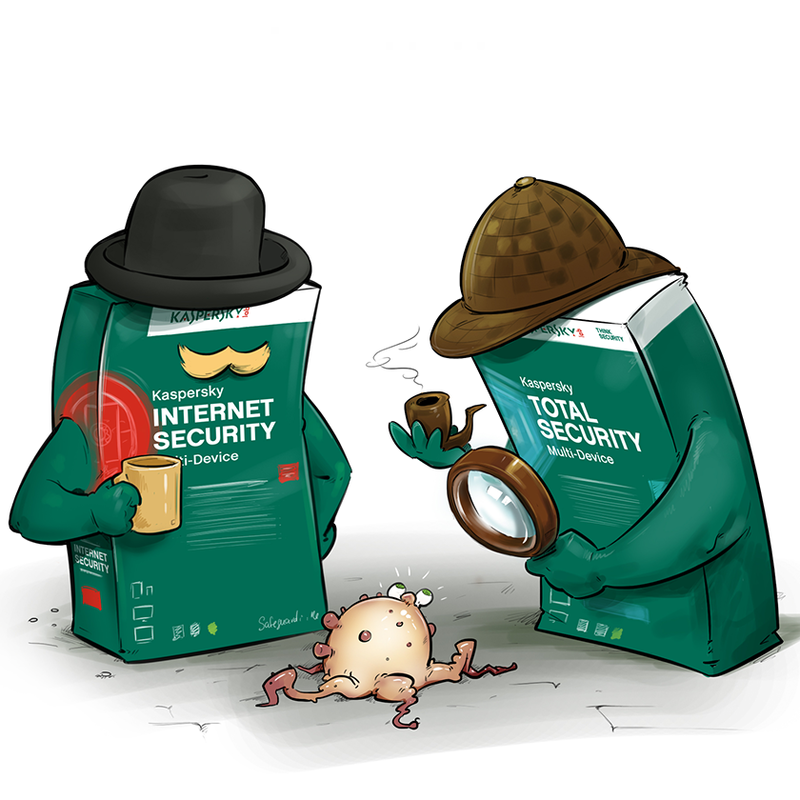 We feel that both Kaspersky Internet Security and Total Security offer great protection for your home usage. We can also promise that both are of supreme quality, as always. Kaspersky Total Security or Kaspersky Internet Security: which is right for you?